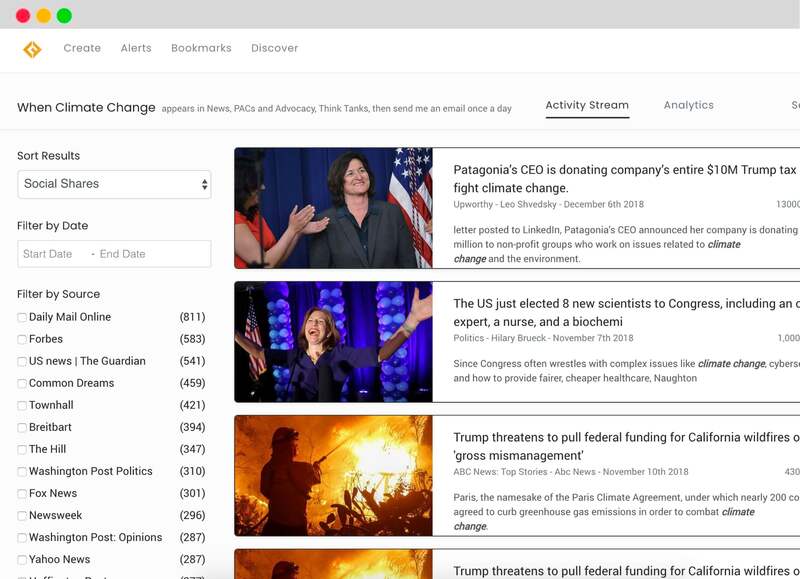 CivicFeed scours hundreds of thousands of news, social and government websites and notifies you as information appears. "CivicFeed picks up stories from smaller publications that Google Alerts doesn’t always catch." CivicFeed helps you understand public sentiment. Everything is discussed online, including you, your organization, and your competitors. Media monitoring is essential to any campaign or organization that targets audiences engaged online. Quickly understand public opinion with powerful visualizations. We track thousands of publishers across the internet. Filter by source, amount of social shares or time. Get alerts where you work - such as Slack or email. Track the authors and sources talking about you most frequently. Share articles in a single click. We even integrate with the tools you use, like Buffer.